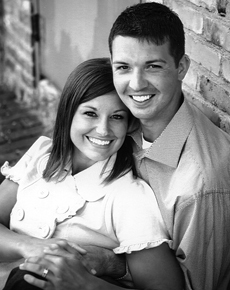 Greg and Bonnie Hecksel and Ed and Char Martin of Rockford announce the engagement of their children Lauren Hecksel and Kyle Martin. Lauren, of Auburn Hills, Mich., is a 2001 graduate of Rockford High School and a 2006 graduate of Aquinas College with a bachelor of arts degree in special education. She is employed by National Heritage Academies as a special education teacher. Kyle, of Auburn Hills, Mich., is a 2002 graduate of Rockford High School and a 2006 graduate of the University of Michigan. He is employed by Forest Lake Country Club in Bloomfield Hills, Mich. as their assistant golf professional. The couple has planned an October 3, 2009 wedding at Bostwick Lake Congregational Church in Rockford. They will honeymoon in the Bahamas and will reside in Auburn Hills, Mich.